Ducky — A character designed after my own persona. 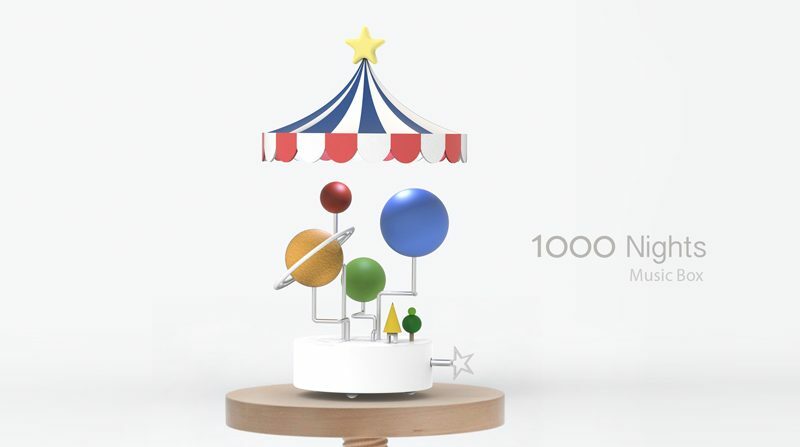 1000 Night Music Box — A music box inspired by my childhood story. This was a two-week project. 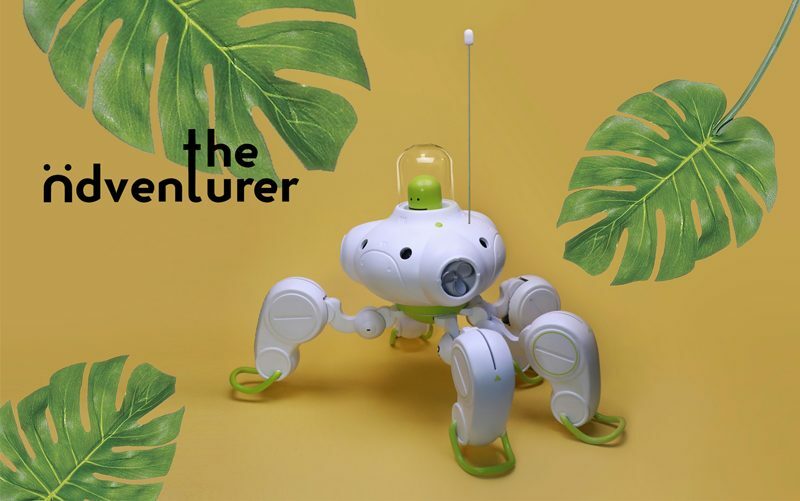 Adventurer — An amphibious camera robot designed for travelers, making outdoor photography experience more convenient and fun! 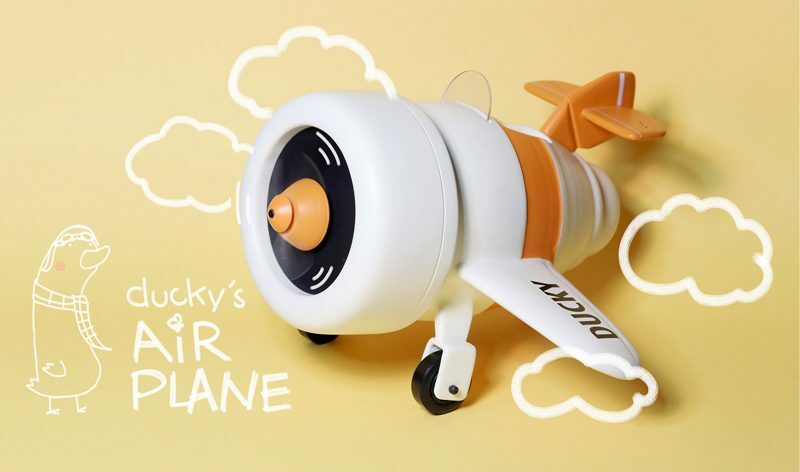 Ducky's Airplane — A handmade push toy sculpted from 20-pound foam. 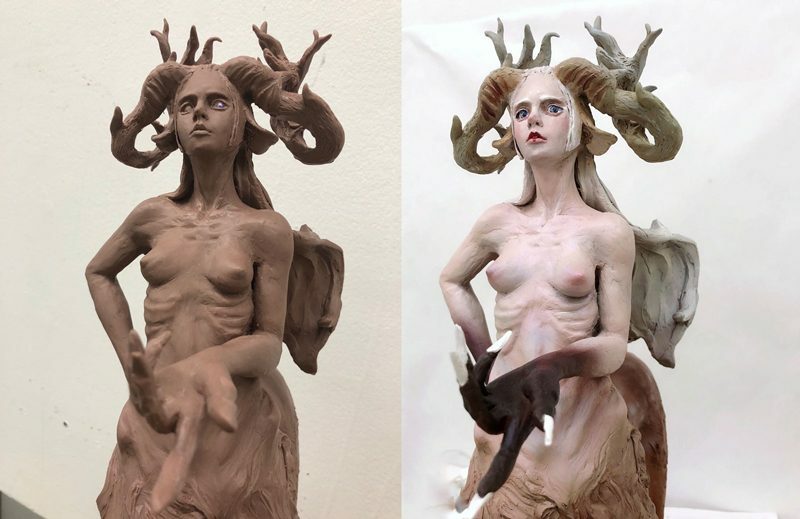 My process of painting a maquette. When I was a child, I was afraid of the darkness and often couldn’t sleep. When night came, my mother would sing to me. My grandpa painted glowing stars on the ceiling. He created a galaxy and dispelled the fear in my mind. 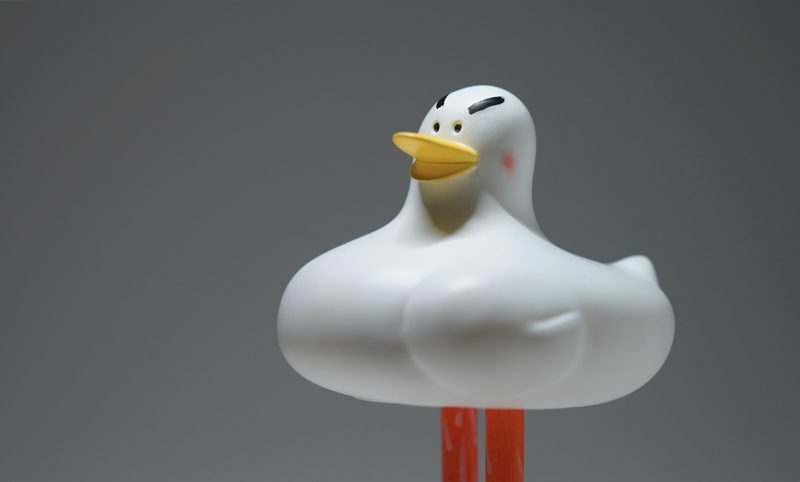 This paved my way to become the designer that I am today; I focus on toy design. I was also encouraged to take apart toys, watches, and radios and build them back, pondering how they work. Making new toys out of good parts from broken playthings became my habit. These experiences have not only brought my curiosity into play, but also developed my unique attitude towards solving problems. 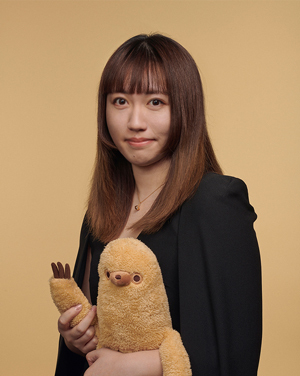 As a designer, I want to continue bringing people moments of happiness and joyful surprises in their busy lives. I love creating characters and rely on storytelling while designing. My design is infused with humor because I believe humor is the best way to connect people; it helps us not to take life so seriously. I look for emotional cues from everywhere and want to be a happiness magician for people.